More progress on the iPbass. 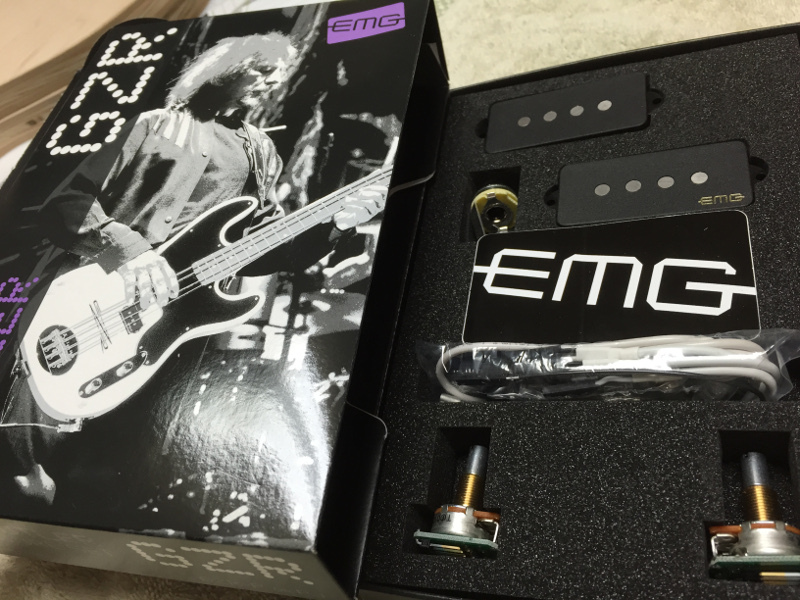 We just got in our Geezer Butler signature pickups from EMG so we’ll be routing the body to get it ready for the electronics. We’re progressing on the neck and the truss rod gets installed next. Good fun. I am very interested in this bass. What scale will it be? Hey David, This bass is going to be a 30-inch scale so not really an ukulele bass anymore. We’re trying to make a bass guitar that’s a little lighter weight and with a scale that better fits a smaller hand. We’ve just finished u our prototyping for the body. We’ve got the shape down and the necessary cutouts for the electronics so we are working on the body now. Have you thought about a 25 inch scale? You could use a 5-string set of strings and toss the smallest string. Should work…. Ha Ha I actually had thought of trying that. I have a great contact over at GHS Strings and I was going to seek his advice too. I just completed the 30-inch scale bass and it is terrific. Really good size for my hands. A little bit of a stretch at the bottom of the fretboard but still roomy at the top end. I think a 27 would be IDeale.